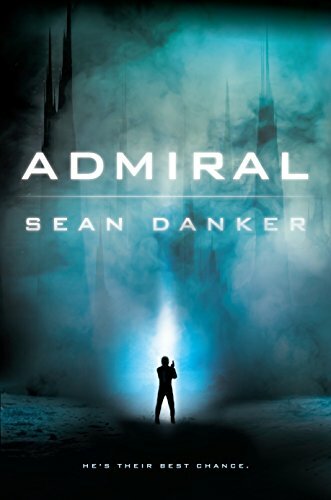 Sean Danker’s first book, Admiral, just came out, and he stopped by to talk about it, and more! Please give Sean a warm welcome! Will you tell us a bit about Admiral and what inspired you to write it? Admiral’s a science fiction novel about a small group of people trying to escape a dangerous planet under mysterious circumstances. As a reader, I like mystery and horror in SF, so with Admiral I wanted to do a space story that blended those elements. What kind of research did you do for the book? What is your writing process like? Admiral isn’t very technical, so it didn’t demand the kind of meticulous research some of my other work has. For my process, these days I always have a full outline before I start writing, though I usually end up deviating from it quite a bit. What’s one of the first things that you can remember writing? The two earliest stories I can clearly remember writing were both grisly horror stories – I’m not sure which of them came first, but I was around ten at the time. I’m lucky my folks didn’t have me committed, it was bleak stuff. Explains a lot, now that I think about it. Why science fiction? What do you enjoy the most about reading, and writing, in the genre? Some of my favorite books and movies are science fiction; there was a lot of SF media in my childhood, so that played a role. I like space, and I like creature feature stuff – and beyond that, I feel like SF’s one of the most fun genres for tackling contemporary issues from interesting angles. At least half the books I write are SF to one degree or another. I usually cite Asimov here, but I read an awful lot of Dean Koontz when I was in high school, so it’s safe to assume some of that voice stuck with me. I read a lot of mysteries growing up, so Agatha Christie, Arthur Conan Doyle, Raymond Chandler, and Dashiell Hammett probably deserve some credit. Or blame. I definitely have a thing for Joseph Conrad. Kafka, Dostoevsky, Orwell. I’m all over the place. The Man in the White Suit by Ben Collins. At the moment I’m really just hoping everyone enjoys Admiral, but next up will probably be the rest of the Admiral’s story, and many other books.